Atlanta is a city of vibrant, distinct neighborhoods that are home to its 460,000 inhabitants. Peachtree Street winds its way through the heart of this sprawling city, passing graceful southern mansions sheltering in the shade of broad-leaved trees and cool hipster hangouts full of characterful coffee shops and quirky restaurants. There are Victorian mansions bordering generous parks, modern high-rises peopled by renting young professionals, and renovated 1920s Craftsman bungalows housing young families. There is truly a neighborhood for everyone in Atlanta, but, it can be tough to find just the right fit for you. If you’re moving to Atlanta, Georgia, check out our insider’s guide that showcases a handpicked selection of Atlanta neighborhoods to get a taste of what this diverse and exciting city has to offer. Colorful Little Five Points (L5P) gets its name from the intersection where multiple trolley lines and five streets meet. It’s a diverse, artsy bohemian neighborhood where the buzz never stops, and vintage stores nestle close to tattoo shops, lively bars, and ethnic restaurants. Although there are some limited residential options in L5P, including apartment rentals above shops and bars, L5P is mainly a commercial neighborhood. People who love the L5P vibe often live in nearby Reynoldstown or Edgewood. When you’re exploring the winding, tree-lined streets of Ansley Park, just outside of Downtown in the Midtown area, it’s sometimes hard to remember you’re right in the heart of a major city. This serene, well-kept community is made up of renovated historic homes from the 1930s, 1940s, and 1950s, offering picture-perfect housing to the older families that call Ansley Park home. With all the cultural attractions of Midtown, including the Robert Woodruff Arts Center, the Ansley Playhouse, the Atlanta Botanical Garden, and the High Museum of Art just minutes away, 14 parks within walking distance, and a wide range of shops and restaurants, there is always plenty to keep you busy. Close to the hustle and bustle of Downtown and the alternative vibe of Little Five Points, Inman Park in the Eastside District offers peaceful family-friendly surroundings, wide open green spaces, and a strong sense of community, creating a true small-town feel right in the heart of Atlanta. Many of Inman Park’s original grand Victorian mansions have been retained and sympathetically converted to multi-family homes, making this an affordable neighborhood to live in, and there are frequent community festivals and fairs to enjoy year-round. Just five minutes east of Downtown Atlanta, you’ll find walkable Candler Park with its 55-acre park showcasing a large playground, a swimming pool, various sports courts, and a nine-hole golf course. Candler Park has its own MARTA railway station delivering easy access to most of metropolitan Atlanta and is in proximity to a wide variety of shops, bars and restaurants, and the new Edgewood Retail district, making this a highly convenient place to live. 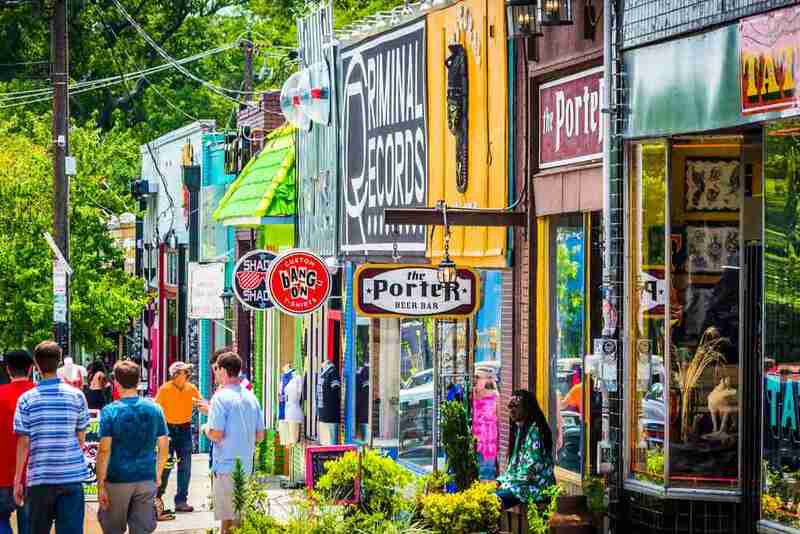 Alongside excellent schools and a vibrant community, Candler Park’s eclectic collection of Victorian-era bungalows and houses, friendly cafes, and local shops manages to deliver a charming hip quirkiness without being at all pretentious. Imagine a large outdoor mall with all sorts of activities going on day and night, and you might be describing Atlantic Station. This fairly new, mixed-use brownfield development was completed in 2005 and was designed to attract young professionals seeking the convenience of trendy loft-style housing, shopping, and entertainment all within touching distance. There are pockets of attractive landscaping around, but, on the whole, this is an unashamedly urban area designed for fast-living singletons or dual-income couples, rather than families or retirees. If you’re looking for minimal traffic, quiet, seclusion, and natural surroundings, then Atlantic Station won’t tick your boxes. 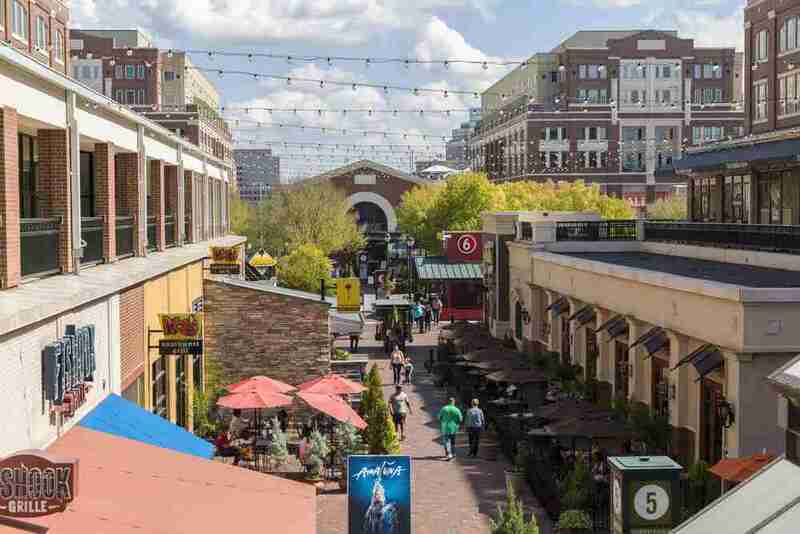 However, if you enjoy a morning shop at Ikea, followed by a convivial café lunch, an afternoon at the gym, and dinner at a trendy restaurant before hitting the bar scene, then Atlantic Station has a lot to offer. 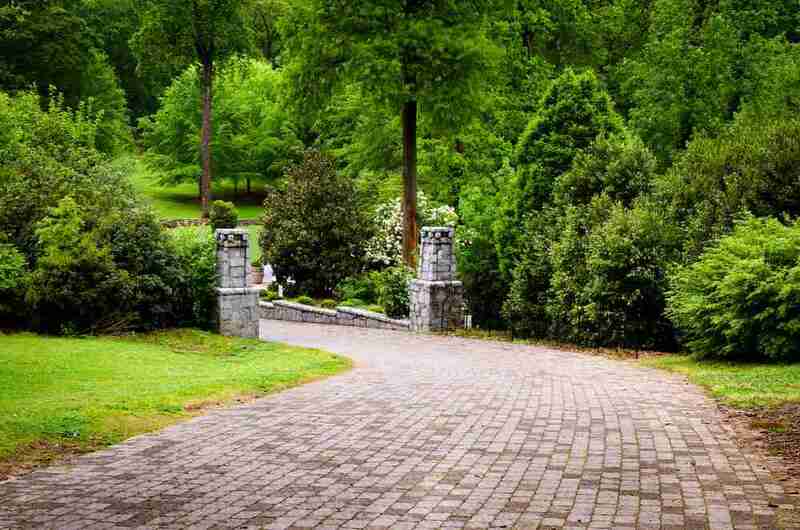 North of the city, you’ll find the most affluent and desirable residential districts in the Buckhead area. North Buckhead is a typical Buckhead neighborhood whose residents live comfortably in charming houses surrounded by landscaped gardens. The quiet, well-maintained streets are studded by churches, tranquil parks, and recreation grounds. These include the 25-acre Blue Heron Nature Preserve, which offers wooded walking trails, waterways, and a community garden. Schools in the area are also considered top-notch. North Buckhead offers a great selection of restaurants and eateries and a handful of upscale boutiques. For more extensive nightlight or shopping, you’ll need to head to nearby Buckhead proper, or further south, closer to the center of Atlanta. Tightly packed characterful cottages and bungalows built between 1920 and 1960 populate the streets in the up-and-coming Washington Park neighborhood on the Beltline. In 1919, the 20-acre park at the heart of this neighborhood was designated as the first recreational green space in Atlanta for African-Americans. The park is the hub of the community and features picnic shelters and grills, a playground, a baseball field, tennis courts, and an indoor swimming pool. Adams Park is a friendly, unpretentious neighborhood that has great access to interstates and the airport. In the general area, you’ll find a large park, major universities, chain restaurants, and sports stadiums. It’s not the prettiest or most charming area of Atlanta, but, if you’re looking for affordable housing, it offers older, ranch-style brick homes on quiet, dogwood-lined streets. The lush, walkable neighborhood of Grant Park is located in southeastern Atlanta and houses the Atlanta Zoo, as well as the Atlanta Cyclorama and Atlanta Civil War Museum. Lovingly maintained historic homes house a mix of younger families who are here for the top-rated public schools and family-friendly community, alongside longer-term residents. Grant Park is best enjoyed in the summer when the huge shade trees provide some welcome relief from the muggy Atlanta heat, and children can enjoy the swimming pool and playground. If you’re moving to Atlanta or picking out a new neighborhood for your next house, detailed insider knowledge is a must to help you pick out the neighborhood that is the best fit for your budget and your lifestyle. Make sure you track down a great real estate agent and research highly recommended packing and moving companies to ensure you and your belongings arrive safely in your new Atlanta neighborhood.